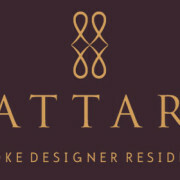 India’s first bespoke designer residences created by four celebrated Indian couturiers. Each home infused with their distinct design identity and surrounded by a veritable oasis of comfort in Sector 70A, close to Southern Periphery Road, Gurgaon. The word ‘Cattaro’ derives its origin from the ancient language of Pali and symbolizes the four essential elements of Nature – Earth, Water, Fire and Air. 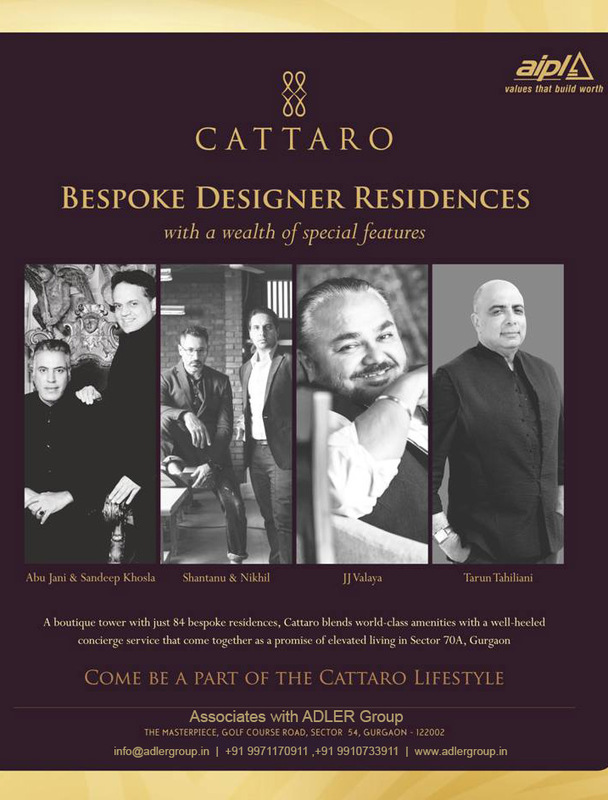 Cattaro personifies the four couturiers who are elemental in the birth of India’s first bespoke designer residences, styling and designing each space to resonate their own aesthetics. Breathtaking view from the Sky Lounge. Sunsets are special here. So is the sunrise. The tranquil atmosphere of the Sky Lounge will leave you coming back for more everyday. Semi-covered but semi-glossed, almost like a wonderful conservatory, the Sky Lounge designed by Tarun Tahiliani is multipurpose space where peace and nature come together in a seamless style. 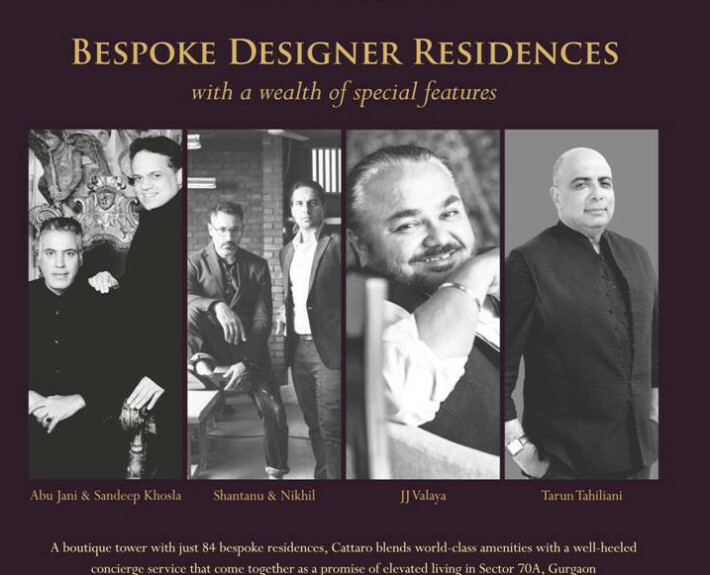 Abu Jani & Sandeep Khosla, Shantanu & Nikhil and JJ Valaya are designing and styling the residences while Tarun Tahiliani is designing the Lobby and the Sky-Lounge. Cattaro blends world-class amenities with a well-heeled concierge service that come together as a promise of elevated living. We see spaces as a blank canvas, to be filled with elements that create a tableau. A home exudes style and personality. Our aesthetic is all about opening spaces using multiple elements that are layered in order to maximize the area. It’s about creating a visual and sensory odyssey where myriad elements are used to slowly reveal a space in delicious stages rather than a flat all at once. One’s experience must be magical and magic is always about surprise and mystery. It’s about creating custom pieces of furniture that exude individuality. From superb jaali screens and lotus pond walls to lit center tables, from the utter glamour of gold mirror powder rooms to the romance of chandliers. Our design sensibility exudes eternal vintage nostalgia draped in lush classicism with a unique subtext of delicate details, simple harmonies and rich textural formats. The brand is instantly recognized for its refined luxury. Interiors become sanctuaries of decadence where the new libertine can enjoy the splendor nostalgic serenity. Muted wall textures, brass highlights, sumptuous arabesques in engraved metal and striking classic sculptures/installations depict our signature soul in a home to be. While keeping the handwriting essentially subtle with Indian monochromatic tones, the language is most definitely contemporary and minimalistic. Coated steel greys, earthy chocolates accented with metallic tones are an essential element of the look. Our influence from the Ottoman Empire spills over into our interior space through articulate linear constructions, immaculate detailing and precise cuts with unrelenting focus on elements. The design philosophy is quintessentially Indian albeit resplendent with contemporary, modern sensibilities – where the old and the new must and can co-exist. Thus finds an expression in interior design and the decor which is a juxtaposition of opposites. The beauty and scale has been brought out of contradiction in refreshingly innovative ways by working with – ‘the old and the new’, ‘rough and the smooth’, ‘mat and sheen’ and ‘2D and 3 D’. This is further accentuated with drama, elegance and detail. There’a usage of space enlarging materials, a play of textures and colors evocative of the Valaya look. The walls, ceilings and floor come together as one cohesive story to create a medley of experiences. I deeply admire how Edward Lutyen combined English use of space with incredible Indian detailing. I am equally influenced Indian detailing. I am equally influenced by South East Asian architecture that brings gardens and water bodies indoors. At Cattaro I marry both these design sensibilities to create a feeling of cantilevered verandas that juxtapose light and space. Sumptuous water bodies, lush green indoor plants that grow in the shade and a view of the outside through long cabanas windows spell space. Rich inlayed stone work and graphic black and white patterns emerge on wall panel and floors to add texture. A feeling of a many layered, textural space that relives history in a contemporary parlance. Advance India Projects Limited (AIPL), an Indian developer, has pre-launched Cattaro, comprising 84 boutique homes designed by country’s top master couturiers, in Dubai, hoping UAE-based non-resident Indians have shown interest in buying these units. The 25 apartments pre-launched on Thursday are being designed by JJ Valaya, a celebrity Indian designer, and will cost between Rs60 million (Dh3.63 million) to Dh65 million (Dh3.93 million). 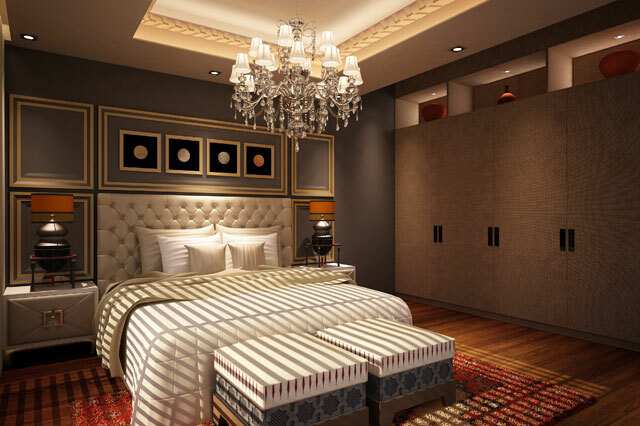 “We are first introducing the JJ Valaya designed apartments and then we will launch other units. We interacted with some 20 odd NRI here and they have all shown in interest in buying and that has compelled us to pre-launch these apartments here,” AIPL, said. 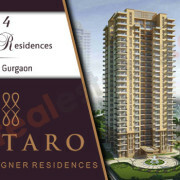 Apart from Valaya, Abu Jani & Sandeep Khosla and Shantanu & Nikhil will design and style the residences, while Tarun Tahiliani will work on the common areas in Cattaro, a 24-storied tower, in Gurgaon, National Capital Region. : “There is a lot of luxury that has come to India… a lot of luxury space has been filled by Western designers but contemporary India is not represented in any luxury space,” Sachdeva said, explaining that “contemporary India” was a blend of Far East, ethnic India and Europe. The Forbes list, released in September, put five UAE-based billionaires, a combined net worth of Dh15 billion, in the top 100 richest Indians in the world, while China-based Hurun’s India Rich List 2013 had revealed the UAE is home to 17 out of 141 Indian millionaires, who have a net worth of Dh70 billion. There are 1.75 million Indians in the UAE, according to Embassy of India, Abu Dhabi, UAE. Calling it “affordable” luxury, AIPL Director said the buyers will have to pay first 30 per cent in 15 month’s time and could get home financing as well. Cattaro will be completed in 2017. “We give you a lifestyle that is aspirational along with quality, brand name and facilities,” he said. But those not looking to use the service of any of the designers could still buy a shell and core apartment for Rs45 million onwards, Sachdeva revealed. 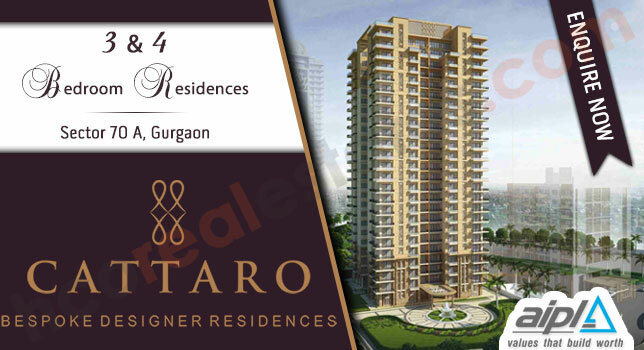 Blending heritage with the modernism, that’s how fine Indian couturier JJ Valaya describes the new luxurious residences called Cattaro that he is designing. Following in the footsteps of some of the world’s leading fashion houses like Bvlgari, Versace, Armani and the like, JJ Valaya is adapting his creative skills in the residential sector too. 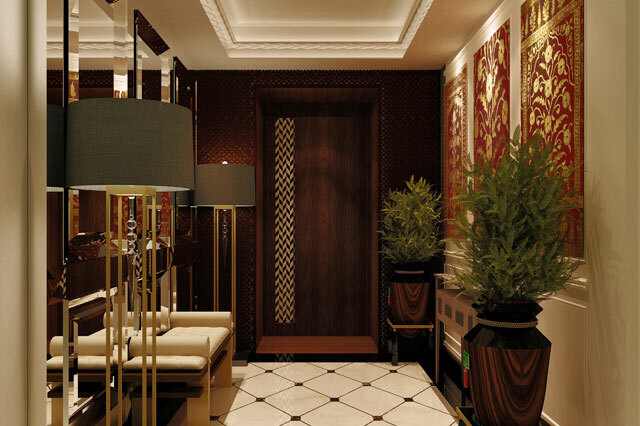 Known to take luxury to a whole new level, India’s JJ Valaya will be styling spacious residences in Delhi, India. In collaboration with real estate development firm AIPL, the exclusive Valaya residences reflect his belief of living king-size. He walks us through a few of the ideas in his mind, weaving one detail at a time. How did you decide to work on a residential project? It’s fairly logical for top brands to get into the home space and it was only time that Indian brands started too. To me it’s always exciting to create an experience where one can walk in and say, wow! Tell us how different or similar to clothing is it to design home décor. I enjoy being creative, and if it fits well in one bit of the spectrum, I take it forward. I work on my fashion designs, it is what I’m known for. I also dabble in photography but that is personal. Now I’ve stepped into the realm of interiors that will see my best in the upcoming brand Valaya Home experience centre. What will you be working on exclusively in these new apartments? We’re four Indian fashion houses working on the residences. Each of us gets about seven or eight floors to work on. While no house will be the same, the artistic skeletal will be consistent through each designer’s space. AIPL is offering customers hard furnishings like the false ceilings and wall montages, which I will work on. In other words it is a beautiful shell for the buyer to set up. But there is an option to go bespoke with the designer. Around what theme are you working on for the collection for Cattaro? It’s the detail in every accent of the home. We are not minimalists. There is detailing in the floor, the patterns on the ceiling, the way contours and edges are treated, When you walk into the home, you will feel that warmth, even in an empty apartment. What are the common mistakes people make when it comes to home decor? It is the lack of the knowledge of the art balance. People tend to go either too over-the-top or severely minimalistic. Very few get it right. It has to feel like home, not a store nor an asylum. Considering that Dubai has a very hot and humid climate, what special points should be considered in home decor? Most places around the world like Cuba, Thailand and the like have a distinct way of setting up homes. Their homes complement the climatic changes. In Dubai every home is temperature controlled, and all homes seem manicured, there’s really nothing you can’t do here.